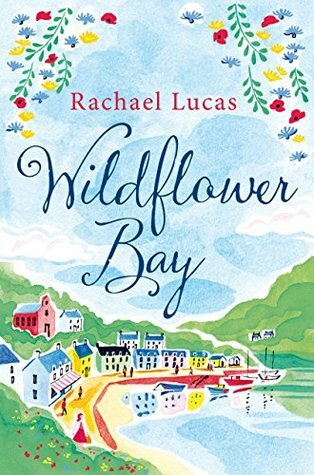 Wildflower bay is the first novel I've read by Rachael Lucas and I loved it. It's exactly the feel I needed from a story when I was reading it and I appreciated the ease with which I was immediately immersed. The nature of the island lifestyle and the inhabitants was felt across the pages and made me utterly content. When I was little we used to visit my great-aunt on an island off of Scotland and I pictured it as the same sort of place. The people were friendly and happily expected to help each other when needed. I loved Isla. She was the right mix of together and uncertainty and though a little prickly and rigid at first I warmed to her right away because I knew she was genuine. Her friends and family were also immensely likeable and the whole story had a simple reality to it that I enjoyed from start to finish. The loveable Ruth is both wise and witty and she nurtures Isla when she needs it the most- without being insufferable. I also quite fell in love with Isla’s father who was a man of many hidden strengths in his quiet way. Though the romantic nature of the plot is apparent with Finn, there is also a clever progression to their relationship that was a little bit different than the norm and I liked it. I also appreciated that Rachael Lucas gave plenty of history to the supporting characters and followed them through in the plot. There are books before this one and some after that relate to characters from the island and I have itchy buying fingers to buy and read some more. Thank you to Pan MacMillan for our review copy. All opinions are our own.